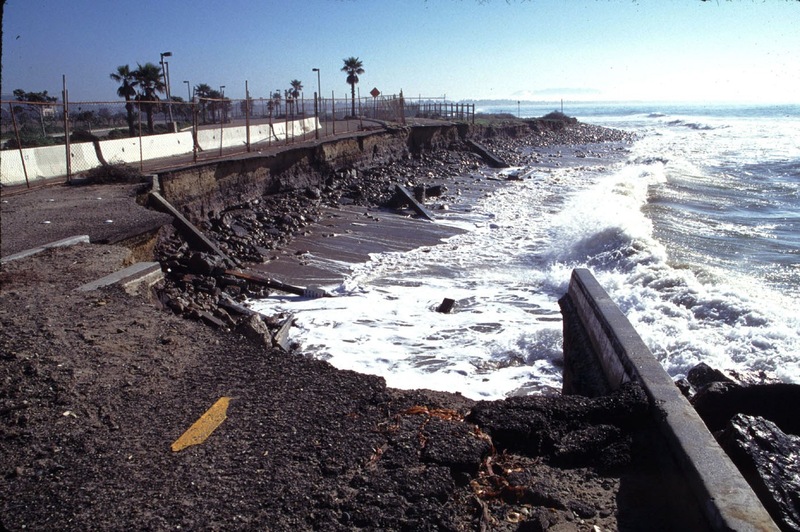 One of the innovative components of the Surfers Point Managed Shoreline Retreat Project is the application of a buried cobble berm to provide shoreline protection for the bike path and parking lot that were moved inland. 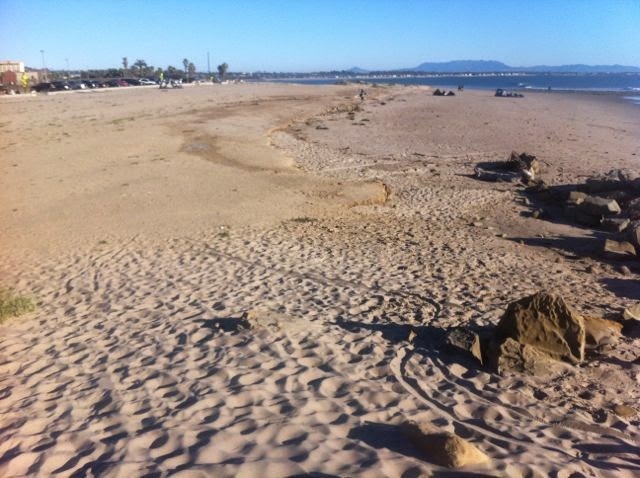 The berm is 8 feet thick and approximately 80 feet wide and is buried beneath constructed and revegetated sand dunes. So depending on when you visit the site, the "toe" of the cobble berm may or may not be evident. 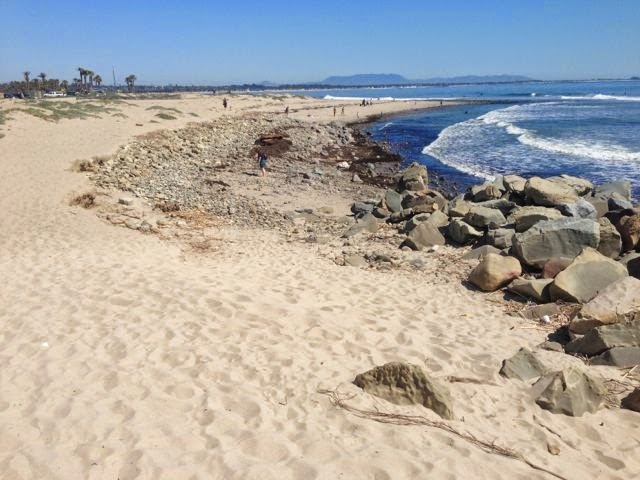 The following is a collection of photos taken from the Ventura River Levee at the west end of the project site looking back towards the beach restoration area. This series of photos shows the excavation of the parking lot and the importation of cobble and sand to create the buried cobble berm. It also illustrates the seasonal changes and the evolution of the cobble berm in response to the changing wave climate and sand supply. Note that the spur groin in the right foreground can be almost buried with sand in the summer months. We will continue to photo document this aspect of the project to demonstrate the effectiveness of the cobble berm to adapt to future changes.